We chose Red Hat because of their proven experience, innovative capabilities, and comprehensive cloud suite, as well as ease of access to the team. By choosing an open source solution, we could prevent vendor lock-in, decrease reliance on managed service providers, and have more control of costs. 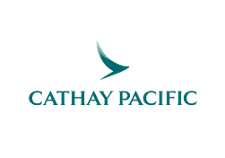 Cathay Pacific Airways Limited, a major international airline with revenue of US$11 billion, operates in one of the most customer-focused industries. To stay competitive, the airline needed to modernize its legacy IT architectures. Cathay Pacific worked with Red Hat to design and implement a modern hybrid cloud IT architecture platform and operating model. This new infrastructure offers on-demand scalability and portability and more efficient and cost-effective work processes. With these changes, Cathay Pacific can be more responsive to customer and business demands. Digital capabilities are critical to Cathay Pacific’s growth strategy. However, its legacy infrastructure hindered digital innovation, with inflexible platforms that were time-consuming and costly to modify. “Our legacy on-premise infrastructure was very slow to provision, so speed to market was affected,” said Kerry Peirse, general manager of IT infrastructure and operations at Cathay Pacific. “It wasn't stable, with typically 1 or 2 high-severity incidents each month. It was difficult to scale up or down to meet demand, so we usually had to over-provision. With multiple platforms from different vendors, it was also not standardized, making it difficult to support and subsequently increasing costs.” The airline sought a new partner—and platform—that could help it quickly modernize. Cathay Pacific decided to adopt a hybrid cloud to enhance or replace its existing private cloud components. “We chose Red Hat because of their proven experience, innovative capabilities, and comprehensive cloud suite, as well as ease of access to the team,” said Kerry. “By choosing an open source solution, we could prevent vendor lock-in, decrease reliance on managed service providers, and have more control of costs.” Working with Red Hat® Consulting, Cathay Pacific’s IT team designed and implemented a modern hybrid cloud IT architecture platform and operating model, based on Red Hat OpenShift® Container Platform and other Red Hat technologies. Its new cloud infrastructure allowed Cathay Pacific to reduce time to market for customer applications—and increase collaboration between teams. “With an automated, repeatable process for building and configuring application servers, we’ve reduced provisioning times from weeks to under 1 hour,” said Kerry. Also, standardizing on Red Hat software helps Cathay Pacific’s IT teams ensure application updates are not only made quickly, but with minimal risk of errors or outages for end users. The efficiency of its new cloud environment helped Cathay Pacific reduce its operational expenditure, including time savings and support costs. With the Red Hat solution and support from Red Hat Consulting, we have a platform to deliver value to our customers much faster, with improved performance and stability.